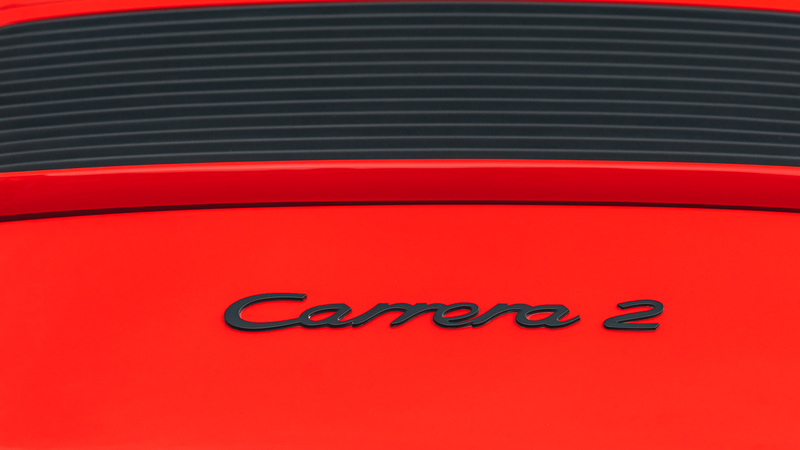 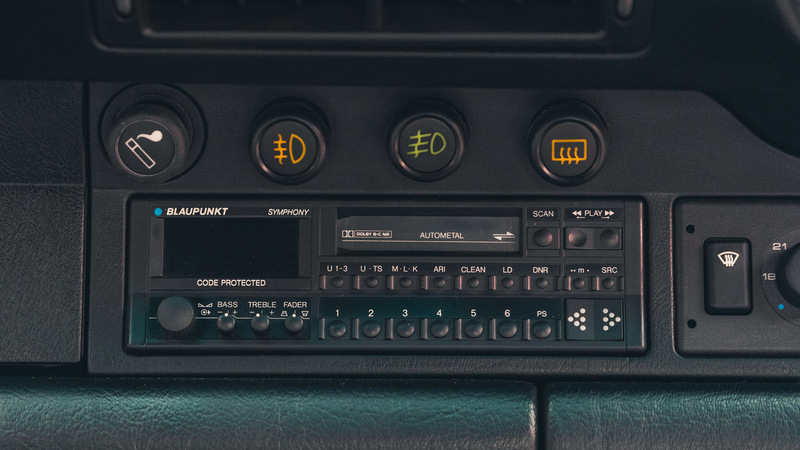 In 1989, Porsche introduced the first major change to the 911 with the launch of the 964, still looking like a 911 it was claimed by Porsche to feature 87% all new components over the outgoing 3.2 Carrera. 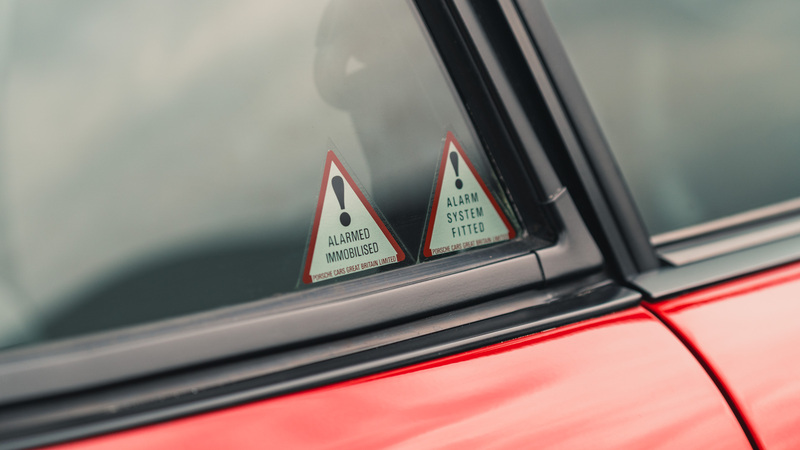 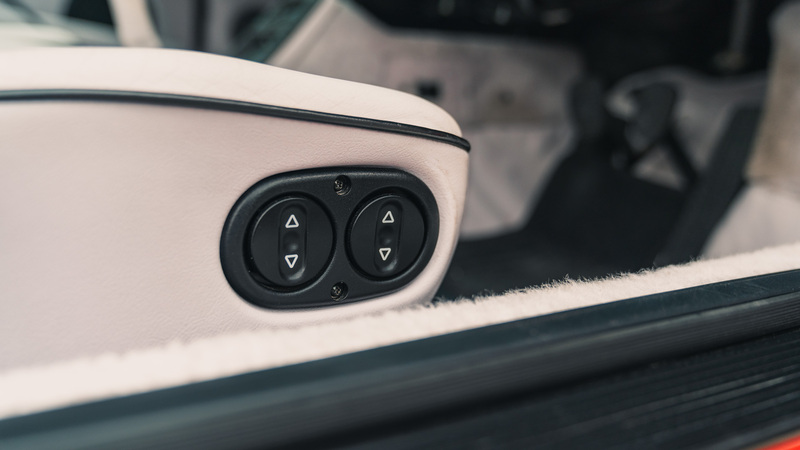 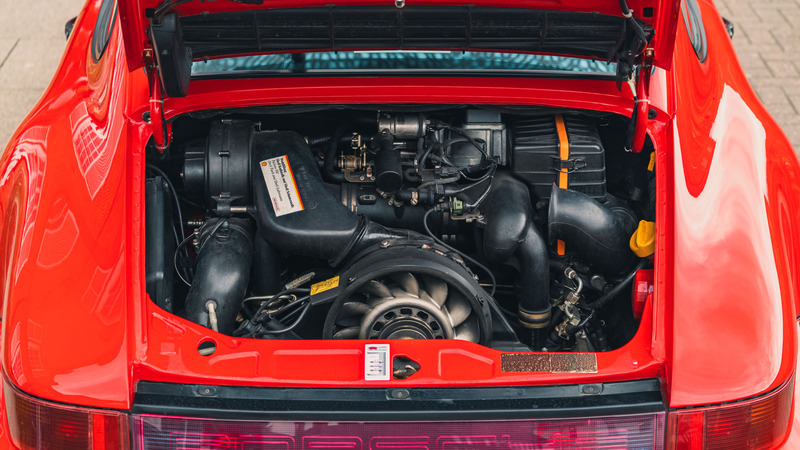 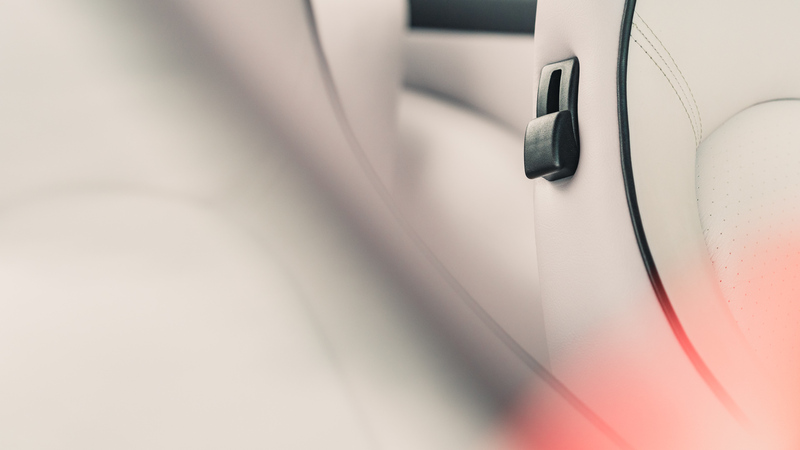 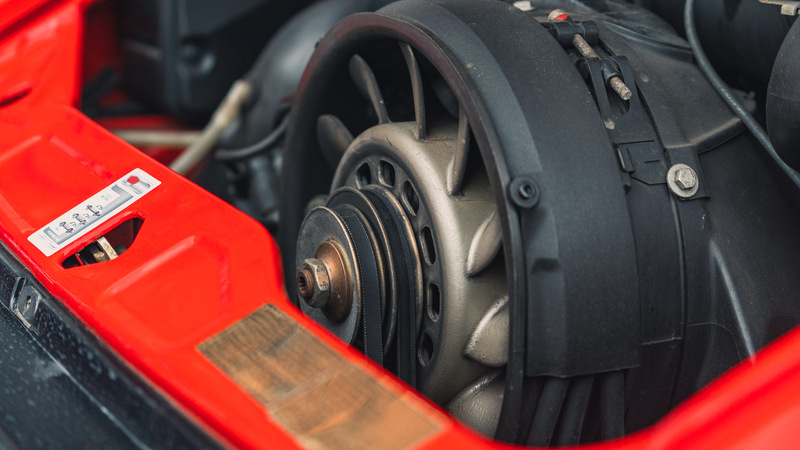 The 911 was traditionally a 2wd car but this new 964 initially featured a new 4wd driveline and a powerful 3.6 twin plug engine, with a 2wd variant following shortly afterwards. 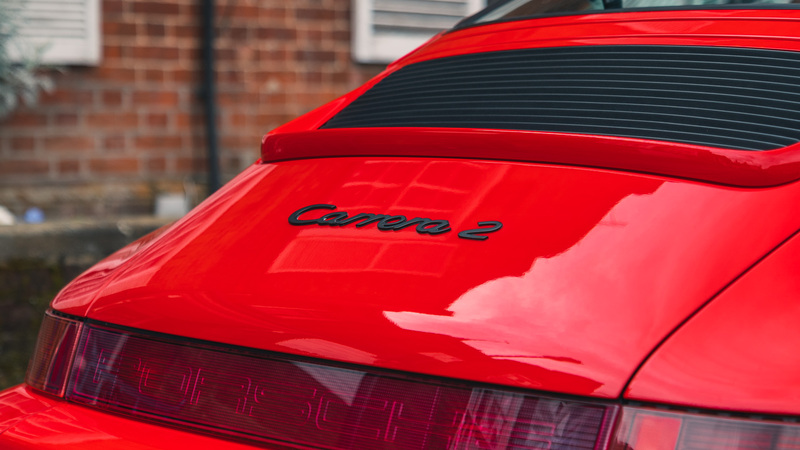 New coil sprung suspension, ABS and power steering offered a significantly modern driving experience over the outgoing Carrera whilst performance was brisk too with 0-60mph coming up in 5.7 seconds and a top speed of 162mph, figures that are still respectable today. 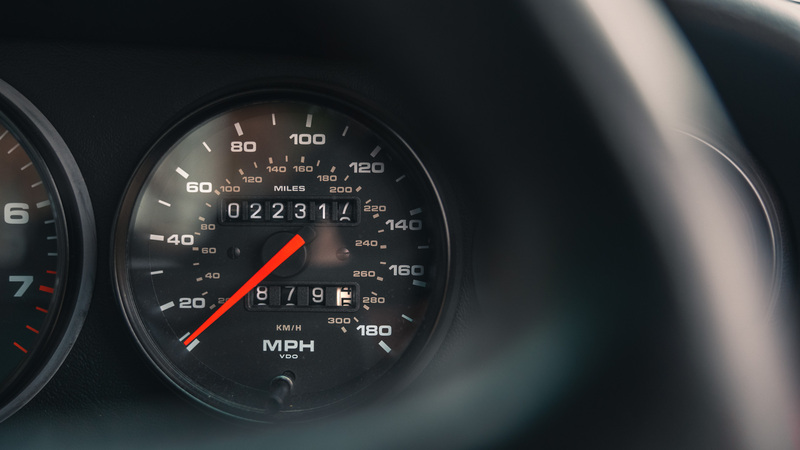 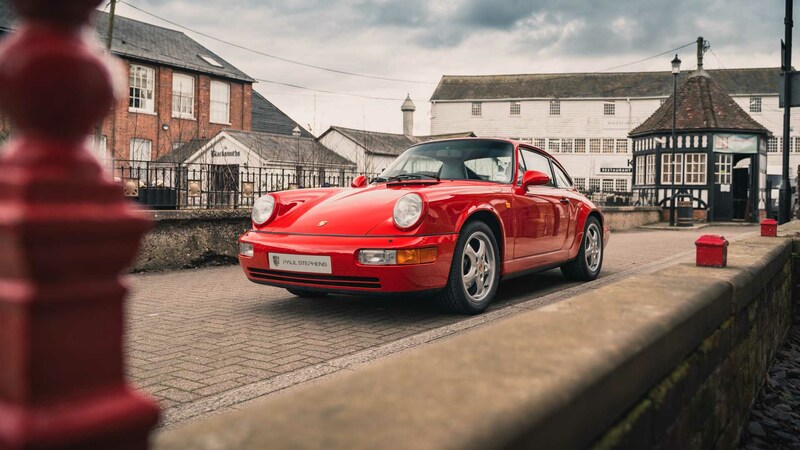 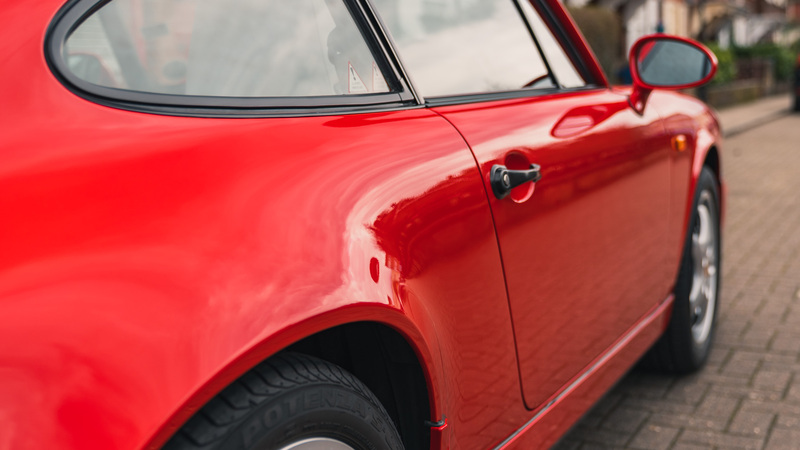 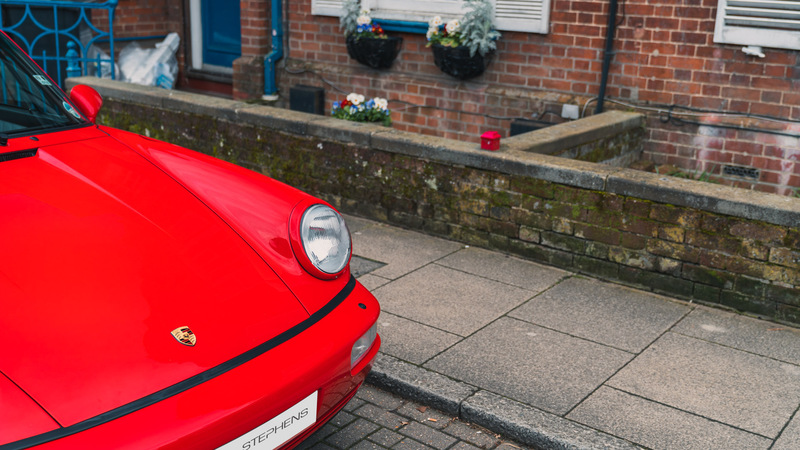 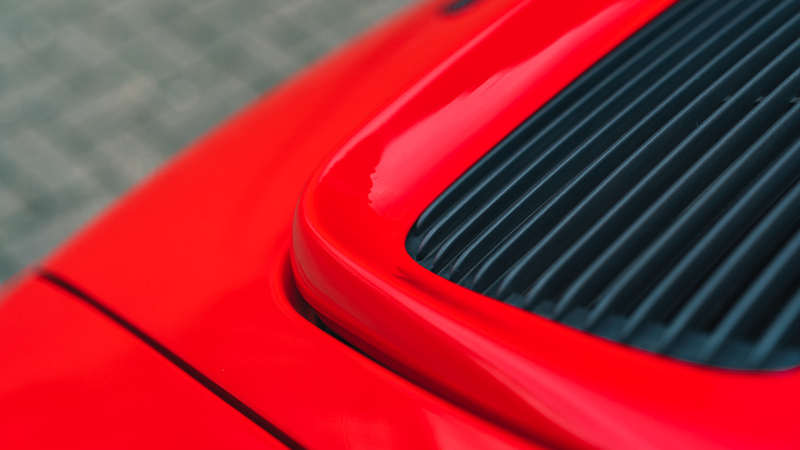 Fast forward 30 years and the 964 looks like a classic 911, being the last to feature the upright headlamps, but with its modern underpinnings, it offers a refined driving experience. 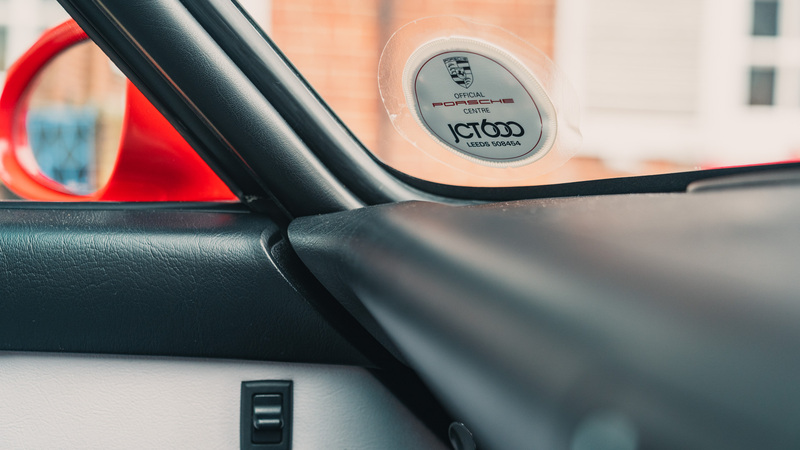 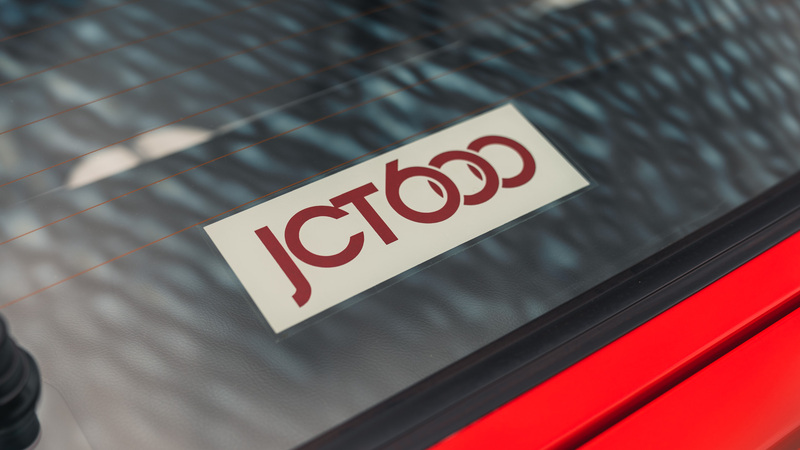 This example was supplied on January 1st 1991 by JCT 600 in Hull and is finished in the classic colour scheme of guards red with light grey leather interior. 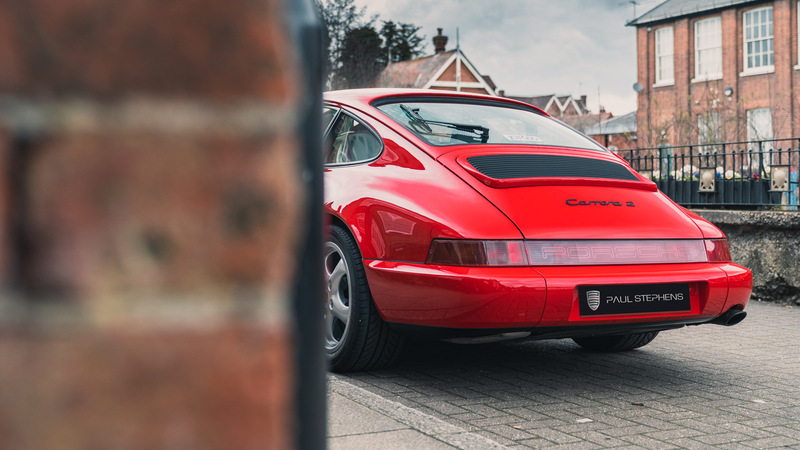 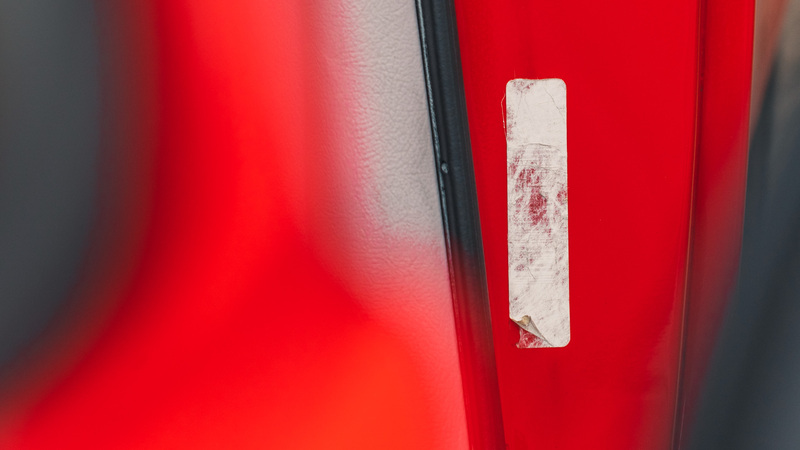 The eagle eyed amongst you will notice that it is currently fitted with later 17” cup alloys and teardrop mirrors, but the original Design 90 alloys and mirrors are included in the sale. 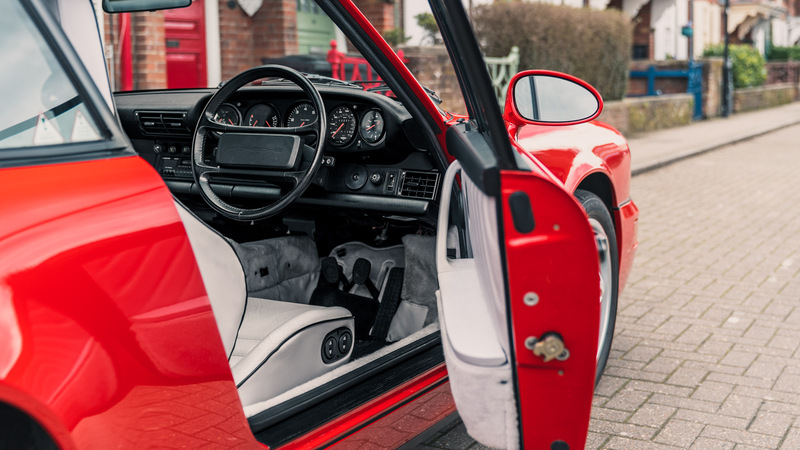 Incredibly this 964 has a full Porsche main agent history from new, with 27 stamps in the book and every single MOT since the first one was required in 1994. 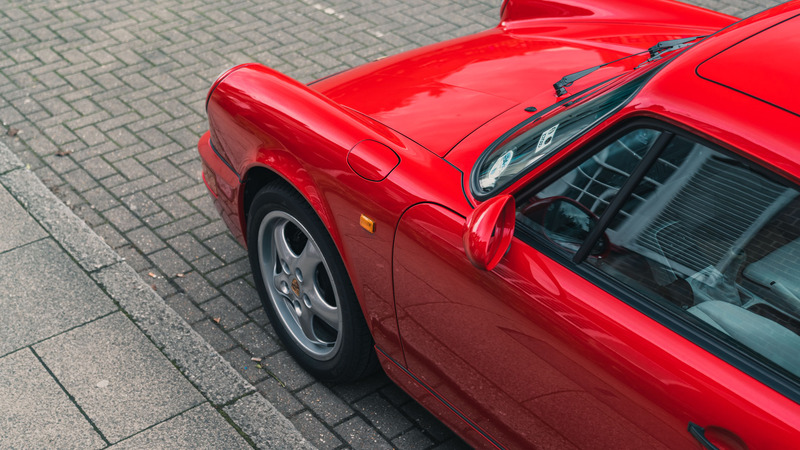 It has had just three 3 documented owners from new with the last being this cars custodian since 1998 and has now covered just 28,000 miles. 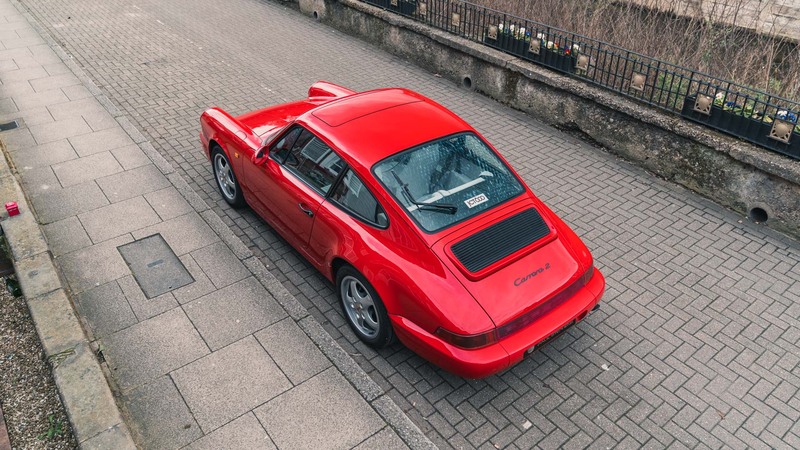 An impeccable low mileage example of an increasingly rare air cooled 911 with the finest documented provenance.